As most of you know antiperspirants use aluminum to block your pores (increasing your chance of Alzheimer's), as well as some other toxic chemicals that are not in our favor. The rise in breast cancer surely has some environmental reasons. So while I am not ruling out other reasons, one contributing factor has been found in shaving the underarms and antiperspirants. "Frequency and earlier onset of antiperspirant/deodorant usage with underarm shaving were associated with an earlier age of breast cancer diagnosis." 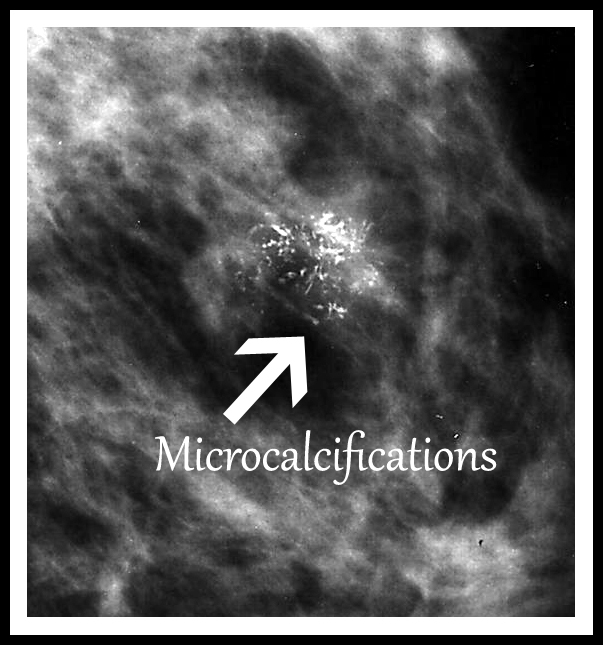 After my first mammogram they found I had a dense mass/cluster of micro-calcifications, which indicates the likelihood of breast cancer. From there I had to undergo ultrasound and they watched me closely for about 3 years, with frequent mammograms/ultrasounds. I immediately dropped my antiperspirant, and replaced it with "natural" deodorants, such as Tom's of Maine. That was a fail. I had to carry it with me at all times, as not only did I sweat a lot more, but I would have stinky underarm odor every few hours. Ugh! It was so embarrassing to not use antiperspirant. I hated going places. Anyhow, being unhappy with my deodorant, I decided to make my own. I had read what many people had tried and their pros and cons. 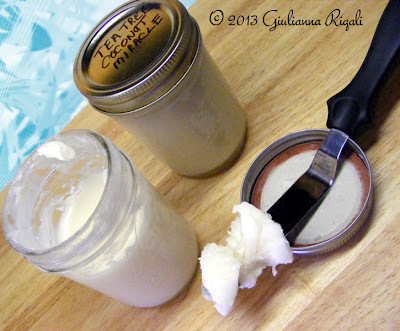 The "DIY Coconut and Tea Tree Oil Miracle Deodorant" I made worked more efficiently than any antiperspirant I had ever used for controlling odor. I will not make you any false promises about it never leaving behind those pesky yellow underarm stains on your clothing, but they do seem to be less than before. And much to my surprise, thus far, I have not had any "oil" stains left behind from it. I have used it successfully for quite some time now. Emboldened, I decided to try it on some other problem areas too. ***Trader Joe's Organic Coconut Oil not only smells like coconut, but it also is much oilier than LouAna's coconut oil (which also has no scent). 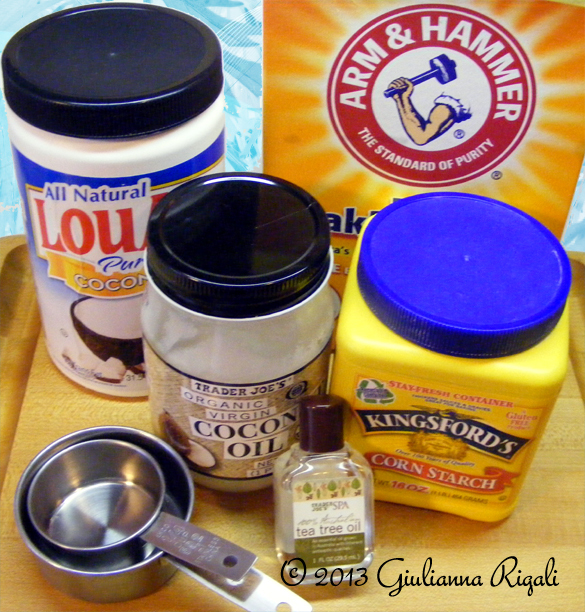 So depending on what oil you use on how much baking soda and cornstarch. You want the consistency to be like shortening when it cools to around 72 degrees overnight. Remove and add tea tree oil. 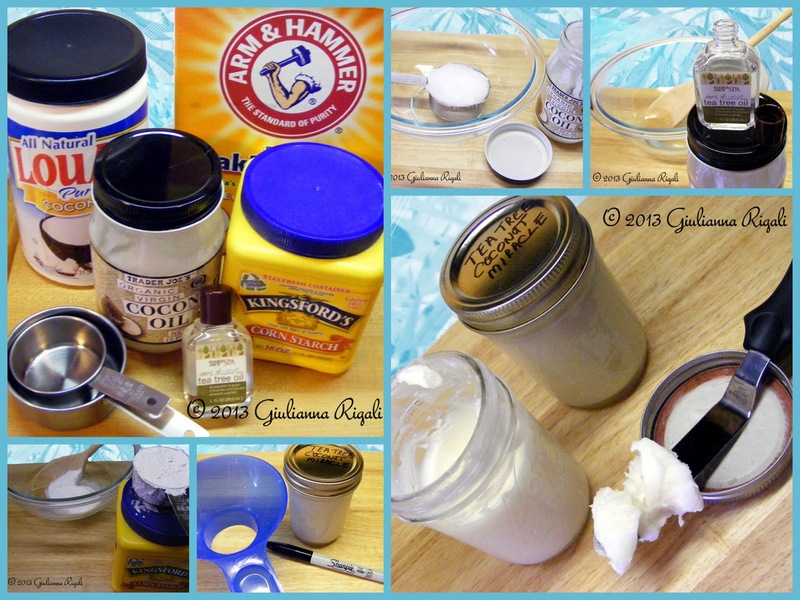 Stir in baking soda and cornstarch until well blended. I literally just scoop it out with my clean hands and apply to my underarms, under my breasts, my feet, and my private region. My bras no longer stink like body odor and my socks and shoes never stink either.